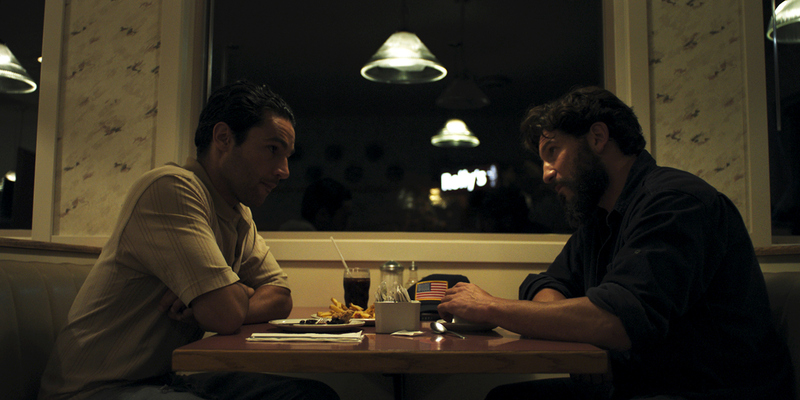 Sweet Virginia is a combination of Fargo and Out of the Furnace, a murky mix of morals with violence making up an even darker core. Its characters are quietly imploding, with bursts of loud rage and action that affect everyone around them, until no one is left untouched. Not an easy drama to watch or to weave, making the work by its amateur director all the more impressive. Dagg created a thriller two years ago that when mostly unwatched, this film being his only other attempt at a feature. 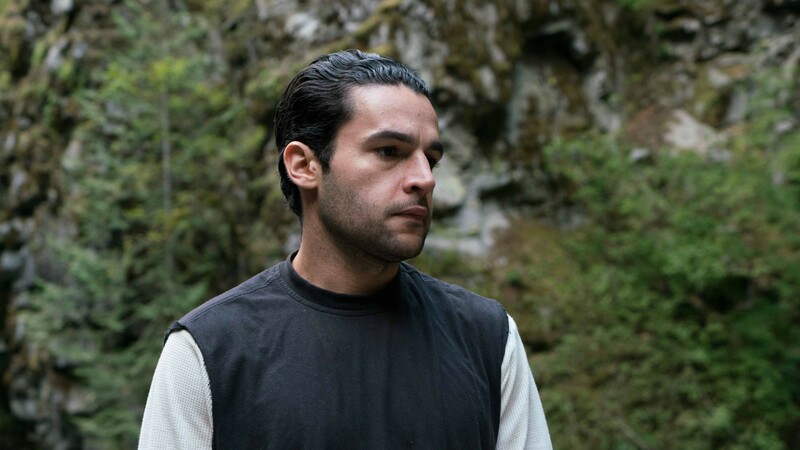 But he succeeds where many other inexperienced filmmakers fail; pulling together pieces from other other projects, leaning on concepts we've come across before, but somehow still creating something haunting and original, a bloody and daring experience that we won't soon shake off. In a small, quiet, northern town, a murderer kills three innocent men, and their deaths begin a series of unfortunate encounters that only lead to more violence. Elwood walks into a bar after hours and proceeds to gun down the trio of friends he finds there, taking the money from the cash register and laying low at a local motel. It seems, on the surface, to be a simple burglary, but there is more to his motive and a reason he was meant to kill those men. The real crime has yet to be discovered, but given enough time the true story will emerge, and it will shake this rural community to its core. At the same motel, ex-rodeo cowboy Sam Rossi works as the manager, attempting to live a quiet life after some personal tragedies, including a lingering health issue. 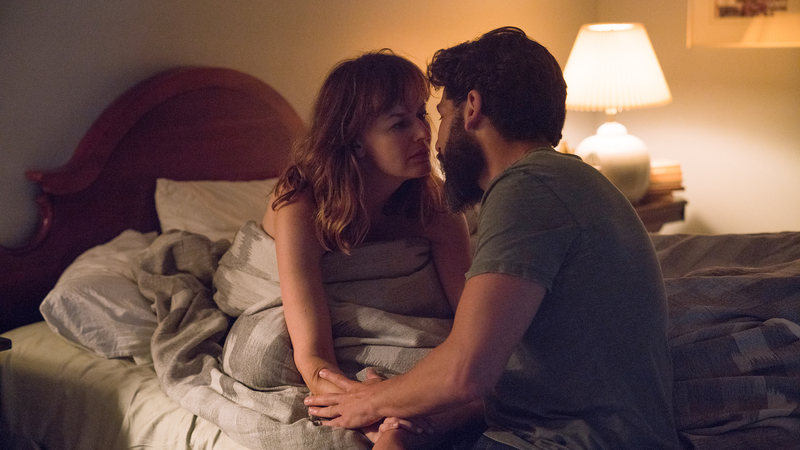 His connection to the murders is complicated by his relationship with Bernadette, the wife of one of the slain, and his general knowledge of the town dynamics, being somewhat of a small potatoes celebrity and a local business owner. When Elwood rents one of his rooms, the two connect over a shared birthplace, and perhaps over the shared darkness that hovers like a shadow behind both men. Their eventual and inevitable standoff will decide the paths of their lives, as well as the fate of their souls. I'm always on board for an understated, melodramatic, neo-Western, neo-noir, whatever you want to call it, murderous thriller, and Sweet Virginia delivers in more categories than one. Like an old genre flick, it sets up the villain, the hero, the angst, the town, the ladies, and the climax with a certain style that can't be denied and which always draws me in. But at the same time, the director adds in new elements, fresh characters, and unique perspectives, until the film we end up watching is a combination of the classic and the modern, done in such a finely-tuned way that they blend together seamlessly. The plot arc is a slow burn, but one that happens quickly, with only a few key story-forwarding scenes, but with so many layers in between, with so much to say without making a sound. Speaking of sound, which of course there was, the intensity of the background music was something to hear. It created an edge, a fear, a sense of dread that you knew wouldn't end well. Perhaps the heavy bass trick has been played before, but that didn't stop it from working again anyway, as Dagg borrowed elements from other films because he's an amateur, but didn't overuse them, because he is also quite talented. Jon Bernthal also showed off some chops, the 41-year-old actor only catching our attention in the last few year (Fury, Sicario, Wind River, Baby Driver), but perhaps peaking at just the right time. Abbott was strong, DeWitt has never wowed me, until now, and Poots is always a pro. 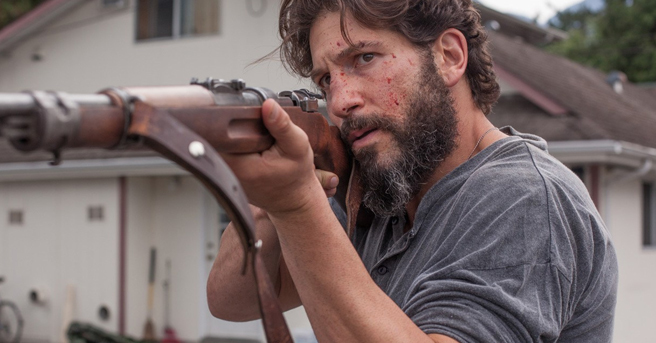 From the acting to the mood, the dialogue to the action, hardly anything goes wrong in Sweet Virginia, and the result is a film that flew so far under the radar that it didn't even seem to be trying, but didn't need to work hard to impress me. Video: With an aspect ratio of 2.40:1 (1080p HD Widescreen), the video quality of the Blu-ray is strong but subtle, not wowing audiences with a brilliant picture but maintaining a strong visual throughout, backed by some crisp clarity. The film is dark, introspective, based on moments, not flashy, so perhaps the technology used isn't showcased, but it's definitely there to lend support whenever the director chooses to capitalize on it. Audio: The disc was done in English 5.1 DTS-HD Master Audio Surround, with an option of English 2.0 DTS-HD Master Audio. Subtitles are available in English SDH and in Spanish. The audio quality of the film is as strong as the video, and as underplayed. The music doesn't take a front seat, but it's always there, a driving force behind the action that helps set the mood and set audiences on the edges of their seats. Extras: The only special feature on the Blu-ray is a trailer for the film. Highly Recommended. Only a handful of people have heard of, let alone seen, Sweet Virginia, a fact that is so unfortunate it's almost criminal. I don't know the strategy behind publicizing this film, but I can't believe it was lack of quality that kept the movie from being distributed and/or talked about; I guess some features are destined to be hidden gems. That term applies here, and if you're lucky enough to come across this underperforming picture, let it overwhelm you. The video is good enough to get noticed and the audio is surprisingly impactful; only the lack of bonus features keeps the technical aspects from being top notch. I missed this movie when it came out; I wish I could go back and drum up some support for it, because this low-budget, high-drama thriller deserves recognition.